The Dysport Challenge – Save $150.00! Now extended through September 30, 2010!!! We are excited to partner with the manufacturer of Dysport for this very special offer. Save $75.00 on a DYSPORT injection and an ADDITIONAL $75.00 OFF on your next DYSPORT injection. Wow! Talk about a savings! That is a total of $150.00! Dysport is a new botulinum toxin A product just as Botox® is. Like Botox®, Dysport relaxes muscles to smooth out unwanted facial lines to give a more youthful, refreshed appearance. Call our Savoy (Champaign-Urbana) office 217-359-7508 or our Bloomington office at 309-662-0436 schedule your Dysport treatment today. This offer is only available through September 30, 2010. Ask Our Expert: Botox or Dermal Fillers?? Q: I have lines between my eyebrows, which treatment will give me the best results, Botox Cosmetic ® or a dermal filler? A: Stand in front of your mirror. Do the lines between your brows become noticeable only when you are scrunching your eye brows together? Or, can you see the grooves between your brows even when you are not making a facial expression? If the lines become noticeable only when scrunching your eye brows together or squinting, then Dr. Castillo would typically select Botox Cosmetic ® https://www.cosmeticplasticsurgery.com/cosmetic-surgery/botox.cfm as the best injectable treatment choice. Treating the over-active muscles with Botox Cosmetic ® can help prevent the creases or wrinkles in your skin from becoming deeper and deeper over time, resulting in groves that are present between your brows with or without facial expression. If the lines are present even when you are not scrunching your brows, then a dermal filler https://www.cosmeticplasticsurgery.com/cosmetic-surgery/fillers.cfm can smooth out those lines nicely. In certain cases, Dr. Castillo might suggest using Botox Cosmetic® to relax the muscles that initially caused your frown lines and a dermal filler to fill and smooth out the frown lines to completely rejuvenate your lines. It is possible that you may also be a good candidate for a frown line excision. The frown line excision would provide you with a more permanent solution to your problem. IF you would like to talk further with Dr. Castillo about your treatment options, call Cosmetic Plastic Surgery Clinic in Savoy (Champaign – Urbana) at 217-359-7508 or our Bloomington facility at 309-662-0436 today to schedule your consultation. 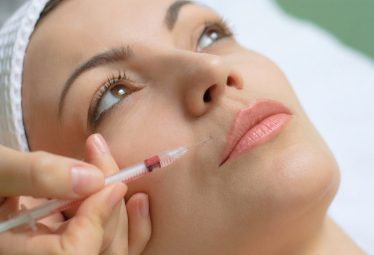 ASK OUR EXPERT: ARE BOTOX AND JUVEDERM THE SAME TREATMENT? Q: Are Botox and Juvederm the same treatment? A: No. However, this is a good question and one we hear often in both our Bloomington and Savoy (Champaign–Urbana) Cosmetic Plastic Surgery Clinics. Botox Cosmetic ® https://www.cosmeticplasticsurgery.com/cosmetic-surgery/botox.cfm and Juvederm are both injections, but they are very different. Botox Cosmetic ® is a neuro-muscular relaxant. It is used to relax over-active muscles, such as the vertical lines that can appear between the eyebrows, forehead lines and crow’s feet around the eyes. By injecting Botox into these problem areas it prevents the muscles from “creasing” the skin over and over which forms unwanted facial lines. An added benefit of using Botox Cosmetic ® repeatedly (every 3-6 months) is that over time it can re-train your motor memory to no longer make the expressions that created the lines in the first place. Juvederm is classified as a dermal filler. There are several of dermal fillers available today (Radiesse, Restylane, Perlane, Sculptra…). Dermal fillers vary in thickness and longevity, as well as content. Though injecting dermal filler is not a new procedure, it is getting a lot of publicity these days. You may have heard the term “liquid facelift.” This refers to the use of dermal fillers to lift, fill, smooth or volumize an aging face. However, “liquid facelift” is a misleading title choice as a dermal filler will not achieve the type of results received with a facelift and is therefore deceptive. Dermal fillers such as Juvederm are used to replace or add volume. As we age, we lose facial fat volume and experience skin changes. Our once smooth, plump skin develops wrinkles and folds. By injecting dermal filler, Dr. Castillo can fill in or smooth away facial lines and restore volume. Dermal fillers are used to add volume to areas such as lips, lip lines, nasolabial folds, marionette lines, cheeks, even hands. Our patients like this treatment because they see immediate improvement. Oh the “beauty” of science! Injectable lip filler – Let Dr. Castillo use his masterfully artistic eye to plump your lips to perfection! Liquid Smile professional teeth whitening system- Take years off your smile with this simple, professional teeth whitening system. No trays or devices in your mouth! Skin Medica Lip Plump System with TNS (Tissue Nutrient Solution) – This is a multi-functional at home lip treatment that improves lip texture, hydration and volume. Call our office today (217) 359-7508 or (309) 662- 0436 to schedule an appointment and receive this Special Promotion Discount Package for only $700.00. Dermal fillers have become a very popular option in both our Savoy (Champaign-Urbana area) and Bloomington offices. Men and women love them because it instantly plumps, lifts and enhances their face and hands. As we age, we begin to lose fat in the face, particularly in nasolabial folds (the lines that form from the nose to the mouth) and in our cheeks. Collagen begins to break down as well. This creates lines and wrinkle. Skin begins to sag along with facial structures that leave us wondering who stole our youth in the middle of the night while we were innocently sleeping! Vertical lines develop around our mouth. Those once luscious, full lips become deflated. We are left wondering where we are supposed to apply our lipstick. Dermal fillers are products that are injected into the dermis to restore volume loss and smooth away lines and folds in the skin. They can also be used to fill in or plump depressed scars, including acne scars. There are several forms of dermal fillers being used with success today. Some include hyaluronic acids (Juvederm, Perlane, Restylane, Hylaform…), collagen (Zyplast, Zyderm, Artfill, Evolence…), synthetic fillers (Radiesse, Sculptra…), and autologous fat (your own fat). The various types of dermal fillers have individual strengths and weaknesses. Some last longer than others. Some are thicker or thinner and are utilized for specific issues. Dr. Castillo will inform you which filler would be appropriate for your needs. Common side effects are mild swelling, and redness. Bruising, beading and allergic reactions can also occur. Dermal fillers cannot give the same type of results as a cosmetic surgery procedure such as a face-lift, mini face-lift or forehead lift. However, because of rising demand for “lunch time” quick fixes with little recovery time and side effects, dermal fillers are able to meet the needs of many who chose not to have surgery to correct their aging appearance. Dermal fillers are a great option for someone who does not want the higher initial investment or recovery time of surgery, but desires some subtle improvements that results in a more youthful, rested appearance. Dermal fillers https://www.cosmeticplasticsurgery.com/cosmetic-surgery/fillers.cfm have become a very popular option in both our Savoy (Champaign-Urbana area) and Bloomington offices. Men and women love them because it instantly plumps, lifts and enhances their face and hands. 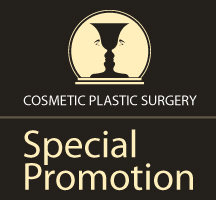 Dermal fillers cannot give the same type of results as a cosmetic surgery procedure such as a face-lift, https://www.cosmeticplasticsurgery.com/cosmetic-surgery/face-lift.cfm, mini face-lift or forehead lift, https://www.cosmeticplasticsurgery.com/cosmetic-surgery/brow-lift.cfm However, because of rising demand for “lunch time” quick fixes with little recovery time and side effects, dermal fillers are able to meet the needs of many who chose not to have surgery to correct their aging appearance.